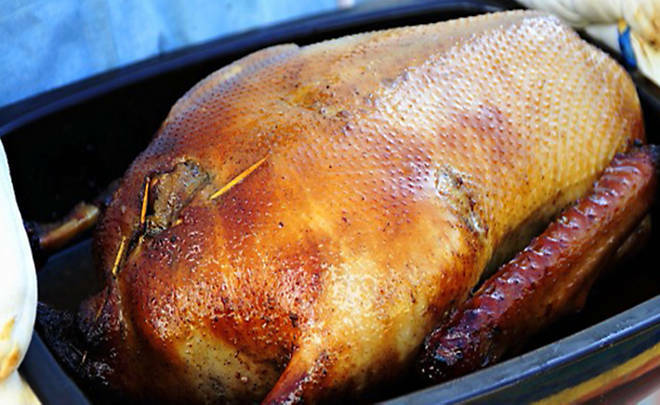 The tradition of a roasted goose on the holiday table goes way, way back. The people of ancient Greece and Rome may have been celebrating different festivals, but they did so with the very same bird we do. From medieval days right through to the Victorian depiction in Charles Dickens, the goose has remained the ubiquitous holiday bird in all of Europe. The reason is the natural rhythm of its lifespan; a goose is at its fattest (think tastiest) after it feeds on late harvest grains to bulk up for the cold months. And that falls right in step with the autumnal and winter holidays. If you’ve decided you want to be a part of this long tradition, but have never prepared a goose before, there are a few things you should know. Of course, roasting a big bird like a turkey or a duck is much the same process. One thing you will notice is an astonishing amount of fat renders out of a goose. There’s no reason to get nervous about your goose, just be prepared. Check out the tips on our website here and here. And watch Ariane talking goose in the Le Creuset Film Series below. 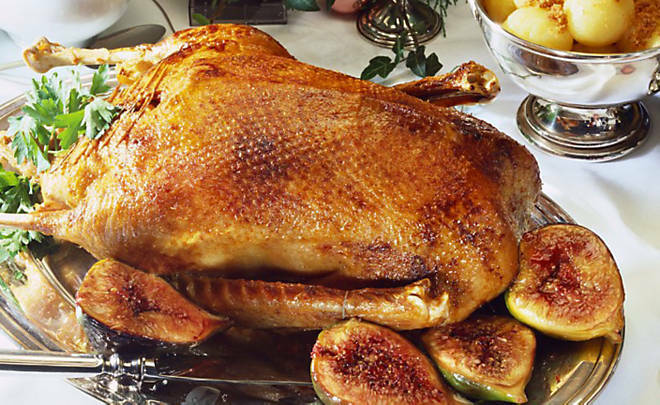 We have several goose recipes, including this Alsatian one which involves foie gras and chestnuts (lovely for the holidays). One of the nice things about the dark meat of a goose is how it well pairs with fruits, such as the pears in this recipe. Ariane’s favorite version is the gala goose here, a recipe in which the goose is first poached and then roasted, which tenderizes the meat, renders out the fat and allows the skin to crisp. Though it’s an involved process, this really is the right way to cook your goose. And you get the benefit of all that lovely fat rendered cleanly out; it’s perfect for the potatoes or other vegetables you serve alongside the main attraction. Next Post Happy Holidays! Merry Christmas!